On Friday, May 31 at about 1:38 p.m., APD officers were dispatched to a disturbance in the area of 13th and Union streets. Witnesses in the area told APD dispatch that multiple gunshots were heard. Officers arrived on scene and contacted the victim in the 1200 block of Union Street. The victim told officers that he was engaged in a marijuana transaction with an unknown subject when the subject pointed a gun at the victim and demanded his property. The victim had a brief struggle with the subject and the gun discharged during the fight. The subject then fled the area. The victim received minor injuries when the subject hit him in his face with the barrel of the firearm. Nobody was reported to have been shot during the incident and the firearm was later recovered. 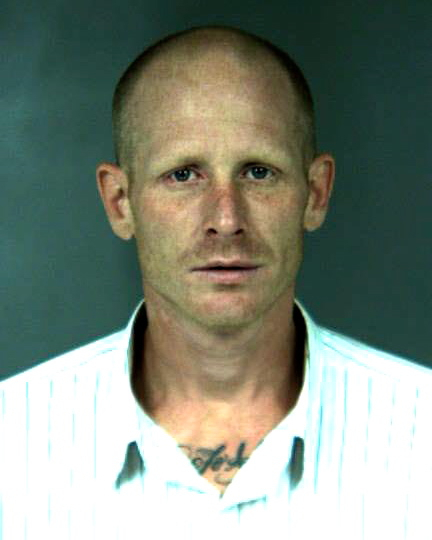 Investigators were able to identify 37-year-old Jamie Delos Jeffery of Fortuna as the suspect in the attempted robbery and assault. Jeffery currently has a felony warrant issued for his arrest for a violation of the terms of his Post Release Community Supervision (PRCS). This entry was posted on Wednesday, June 5th, 2013 at 4:55 pm	and is filed under News. You can follow any responses to this entry through the RSS 2.0 feed.